In his Sayings of Light and Love, Saint John of the Cross defined the conditions of the solitary bird: he flies the highest; he has no specific colour; he sings softly. These conditions have been rightly applied to the modest genius of Diego Rodríguez de Silva y Velázquez (1599-1660). He was born in Seville one year after the death of Philip II and he died one year after the Peace of the Pyrenees was signed, by which Spain practically transferred the hegemony over Europe to France. Thus he saw his country fall from maximum glory to humiliating decadence. He spent the last forty years of his life in the Court of Philip IV as his protégé and friend. He had been supported and introduced to the king by the Count-Duke of Olivares, who promoted the presence of his fellow Sevilians in the royal entourage. Velázquez led an apparently uneventful life. While still very young, he married the daughter of his teacher Francisco Pacheco, Juana, and they remained happily married till the end. Once in Madrid, he hardly moved from the Court, except for two voyages he made to Italy, in 1630 and 1649. Previously, he had a significant encounter in Madrid with the famous painter and diplomat Peter Paul Rubens. He became the great artist he was, thanks to the pictorial and cultural background of his youth in Seville, the teachings of Rubens and his profound knowledge of Italian painting, where Tintoretto and Titian were his main influences. Other facts about Velázquez are known but have been minimized in order to enhance his genius as an artist. Once he was admitted to the Court, he climbed steadily in its complex hierarchy: first as a painter for the king and the royal family, then as a bureaucrat with important functions in the household of the palace, as decorator, organizer of protocol events and purchaser of works of art for the monarch. He must have been ambitious and skilful in the art of worldly wisdom. Otherwise it would be difficult to understand his progress in such an atmosphere of intrigue and pettiness. He certainly enjoyed the confidence of the king. Philip IV had a seat reserved in the studio of the painter and visited him almost daily to watch him paint and to enjoy his conversation. But he must also have suffered the many obstacles set in his way by jealous colleagues and the nobles of the royal bureaucracy. He had applied to become a member of the important Order of St. James and had met with great difficulties to obtain it, in spite of the support of the king. He had to make up excuses: first, he had to pretend that he painted for the amusement of the monarch and not as a professional painter, which would be considered a menial task; second, he was not a military officer, a condition that was required to enter a military order; third, his origins were in Portugal and the Portuguese were looked upon with hostility after they declared independence in 1640. Moreover, the authorities of the Order wanted him to prove that there was no trace of Jewishness in his blood. A negative proof that is by nature impossible, as the Roman lawyers knew so well when they called it the probatio diabolica, the devil´s proof. Velázquez’s art has given ample room for interpretation, both by critics and by philosophers. He started in Seville under the influence of Caravaggio and his early paintings, like those of Juan de Ribera, were full of contrast of light and darkness. In Madrid, he moderated his style as he worked initially as a portrait artist for the rich and the powerful. Under the influence of Rubens and the Italian masters, he became the real Velazquez. He abandoned the representation of a world of “essence” and fixed his prodigious eyes on the facts themselves. Ortega y Gasset observed that our master didn’t paint objects or persons but rather a reality made up of instantaneous appearances, a phantasmagoria. They lost the corporal quality of the classic representation and seem to float in the light. 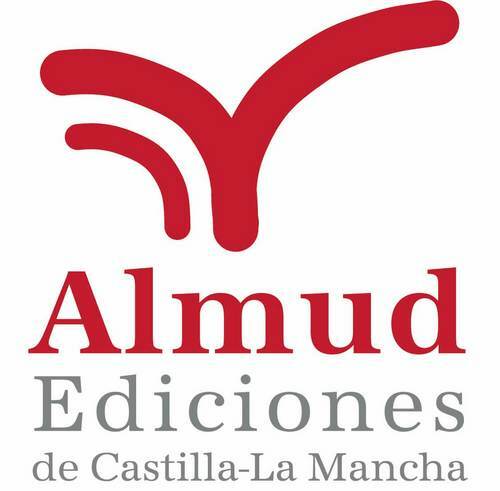 They contrast strongly with the paintings of Zurbarán and Murillo, two contemporaries also from Seville. Zurbarán painted with pious love for the objects, normally simple and insignificant things that he renders with exact reverence. Murillo described a celestial world of ideal beauty where angels and madonnas float in the heavens. What Velazquez offers to us is absolute adherence to the truth of nature, seen at a distance and rendered with subtle touches of light. 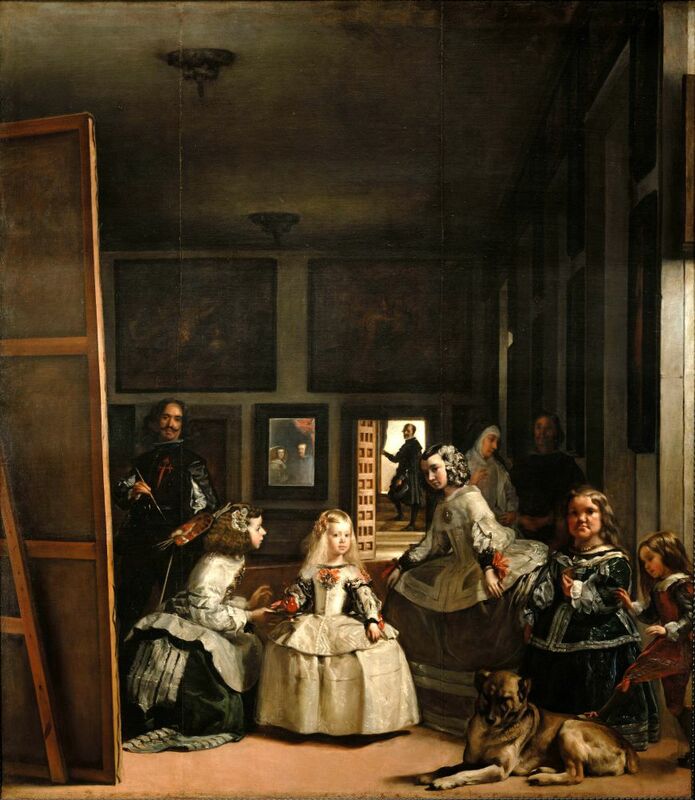 In his masterpiece Las Meninas, Velázquez painted his self-portrait. He wanted to be present in a scene of royal life: an ample room where he himself appears painting the portrait of the royal couple. If you look closely, you merely see the King and Queen through their vague image in a mirror. The painter occupies a median plane as he attentively observes his models, and they are “behind the camera”, so to speak. In the foreground, bathed in clear light, a beautiful princess shimmers, attended by the ladies of the court, plus a dwarf and a dog. Velázquez painted this Infanta, Margarita-Teresa, many times. In Vienna’s Kunsthistorisches Museum you can admire what to me is the most beautiful portrait Velazquez ever accomplished. The princess appears in a pink robe, resting a fan in her left hand. Her expression, in this and in other versions painted by Velázquez, is sweet, patient and serious at the same time. She was five years old at the time of Las Meninas (1556). She was, obviously, the King and Queen’s pride and joy, and she accompanies them during the official sitting for the painting. She must also have been a pleasant solace for Don Diego in his mature years. He painted himself with an expression of concentration and gravity. He may have been meditating on his long life, in which he had been able to keep his balance and nobility of character, even a proud distance in the midst of a court where vice and corruption were rampant. In spite of the King’s impassible face that we see in other portraits, he was ardent and sensual, fond of giving lavish banquets and balls in order to offer an image of affluence in a court where sometimes there was not enough food for the royal family, in a country impoverished by depopulation, constant wars and natural catastrophes. To give just one example: in 1624, the King travelled to the possessions of the Duke of Medina-Sidonia in Andalusia accompanied by 16,000 guests and servants; they hunted and feasted there for two weeks. Philip, according to certain accounts, engendered 36 children with his lovers and eleven with his two wives until finally, when he was 52, a son was born who would reign as Charles II. All these excesses began to recede in his later years. In 1643, he met a pious nun, Sor María de Agreda, the abbess of a convent in which obedience and virtue were strictly demanded, no doubt an exception. Impressed by her holiness, the king started to correspond with her weekly, gradually repenting of his numerous sins and madly terrified of death and damnation.